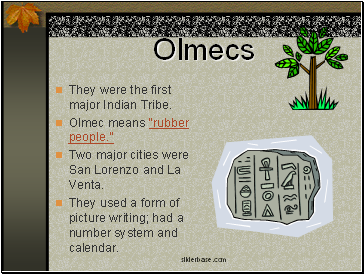 They were the first major Indian Tribe. 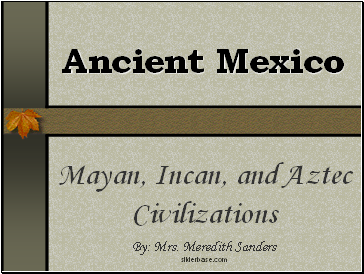 Two major cities were San Lorenzo and La Venta. They used a form of picture writing; had a number system and calendar. 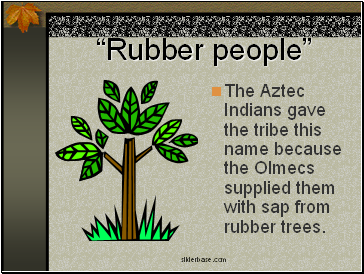 The Aztec Indians gave the tribe this name because the Olmecs supplied them with sap from rubber trees. 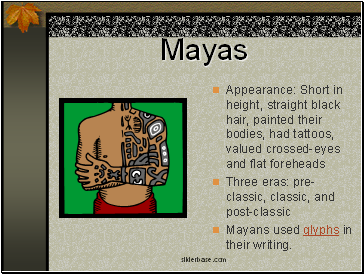 Mayans used glyphs in their writing. 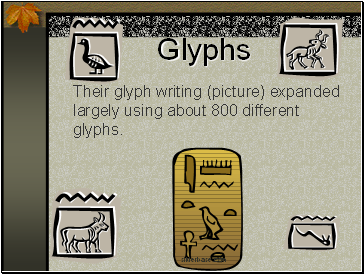 Their glyph writing (picture) expanded largely using about 800 different glyphs. 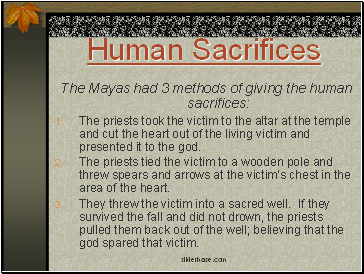 The priests took the victim to the altar at the temple and cut the heart out of the living victim and presented it to the god. The priests tied the victim to a wooden pole and threw spears and arrows at the victim’s chest in the area of the heart. They threw the victim into a sacred well. If they survived the fall and did not drown, the priests pulled them back out of the well; believing that the god spared that victim. 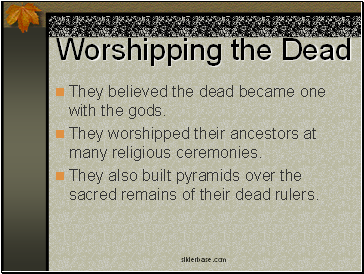 They believed the dead became one with the gods. 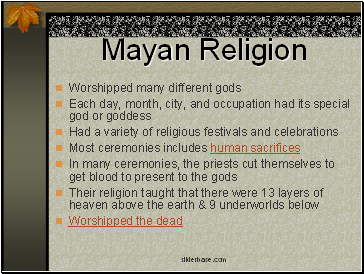 They worshipped their ancestors at many religious ceremonies. 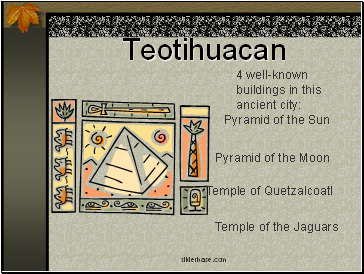 They also built pyramids over the sacred remains of their dead rulers.